Eventing consists of three parts: a dressage test, a round of show-jumping and test around a cross-country course which take place on the same day. The Eventing Championships is the only competition that takes place over two days and is usually a two-day-event. The scores from all three phases are added together. The winner is the one with the lowest penalty score. The lowest score is best, faults in cross country and show jumping are added to your dressage score. If you have 0 faults in these sections, you finish on your dressage score. To be eligible to compete in Open, Intermediate and Junior classes, you must have passed your C test. In the Under 12 class, riders must have passed the D+ test. 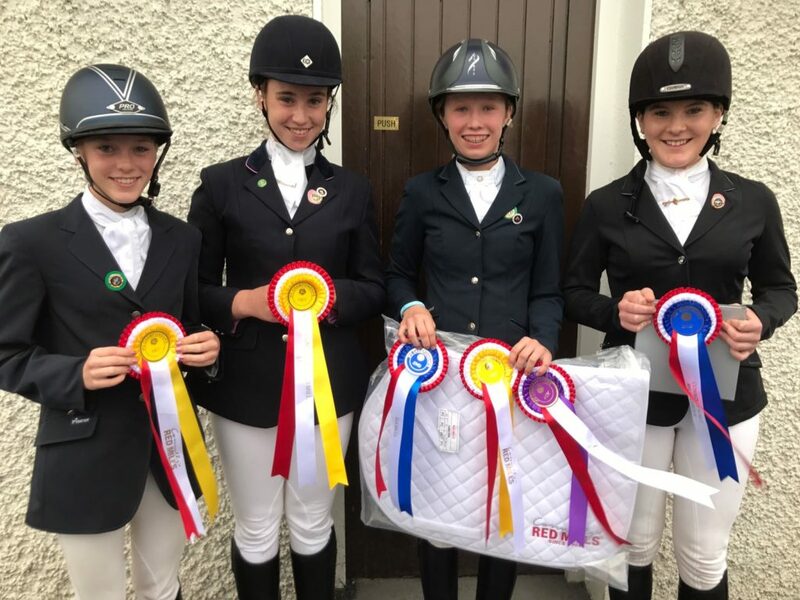 All riders must be active members of their Branch and be paid up members of the Irish Pony Club. They must have participated at three appropriate rallies since 1st June of the previous year, two of which should be cross country and on the horse on which they now wish to event. District Commissioners have discretion in this regard, and have to sign off on the form that this particular child is able to go cross country. Ponies and horses must be 5 years old or over for all competitions, there is no height limit for horses but a horse/pony is only allowed to go under one rider at one event. It must not go eventing again the next day! U12 – children who are under 12 years of age on 1st January of current calendar year and must have D+ Test to participate. U12’s now qualify for the IPC EVENTING championships, which are held in a different location each year in August. The maximum height of jumps is 80cm for show jumping and cross-country. Click here for U12 Eventing Dressage Test: IPC Pre-Novice Test (2019). PLEASE NOTE: As of 2019 the U12 Eventing Test is now the same as U12 Combined Training Test.